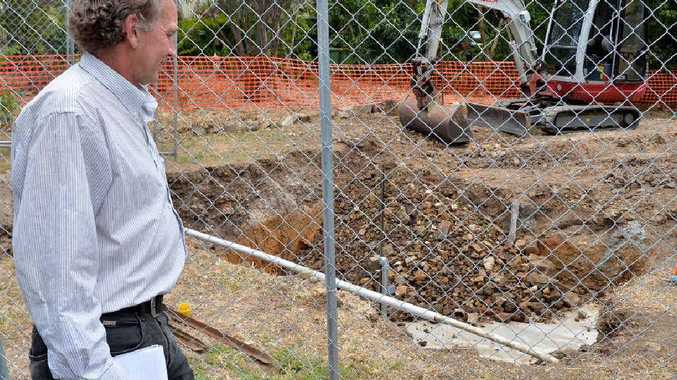 THE Department of Natural Resources and Mines yesterday capped another old Gympie mine shaft, after a suburban front yard cave-in. Assistant Natural Resources and Mines Minister Lisa France said the remediation task demonstrated the important work of DNRM's Abandoned Mines Unit in addressing public safety risks associated with abandoned mines. "Queensland has a long history of mining developments that were not subject to today's high environmental and technical standards," Mrs France said. She said the State Government remained committed to dealing safely with "legacy mine sites". Mrs France said the work was been overseen by the Gympie Shaft Repair Team, which was part of the DNRM Abandoned Mines Unit. "Since its inception in 1990, the Gympie Shaft Repair Team has made safe more than 2000 shafts in the Gympie area," she said. "Gold was discovered in Gympie in 1867 and historically, the field produced over 3.5 million ounces of gold. "A database of all known sites of historic mining in Gympie has been established and is maintained by DNRM staff in the Gympie office, which also processes requests for shaft and mining searches for particular parcels of land." Member for Gympie, David Gibson congratulated the AMU team on their swift work at the cave-in, on the corner of Alice and Julia Sts. "The sinkhole was excavated and refilled," he said.